Garmin and AT&T have announced the launch of the new Garmin Nuvifone G60 navigation phone, which claims as the only 3G phone to fully integrate the world’s best selling GPS navigator with voice, data and mobile web, offering users the same core great features and user experience as a high-end Garmin nuvi aimed to deliver the easy-to-use, advanced and intuitive navigation experience. 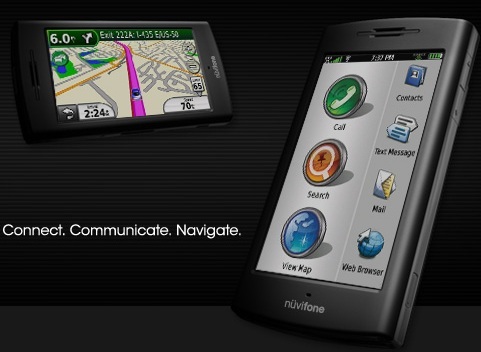 Garmin Nuvifone G60 navigation phone which measures 4.4 x 2.3 x 0.57 inches and weighs just 4.8 ounces (battery included) is scheduled to hit AT&T stores starting October 4, 2009 for $299, after $100 mail-in-rebate and 2-year service contract. Furthermore, Nuvifone Premium Connected Services that includes traffic updates, white pages, weather, movie, local events and fuel prices are available for $5.99 per month after a 30-day trial.